A non-refundable portion of 20% applies to this booking. Should you cancel this booking less than 48 hours prior to arrival date, 50% of the purchase price will be refunded. Should you cancel this booking less than 24 hours prior to arrival date, none of the purchase price will be refunded. Credit card to be shown on arrival. Any accidental/deliberate damage will be charged to this credit card without prior discussion. For guest safely there is no access to kitchen/lounge after 11pm. Guests under 18yrs must be accompanied by adults (ratio 1 to 10) and are not allowed in shared mixed dorm rooms or main backpacker building. Please call to discuss. PLEASE NOTE: office hours are 7am to 7pm and check in times are 1pm to 7pm, we do not have a 24hr reception so there are no office staff available after this time. 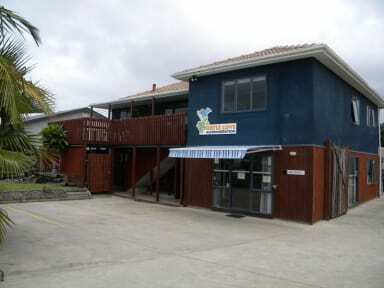 Turtlecove Accommodation is a clean, relaxed, homely hostel with a great outdoor area and in a great location. Only a 3 min walk to the supermarket or town, an 8 min walk to Buffalo beach or 30 mins by vehicle to hot water Beach, Cathedral Cove, Purangi Winery and Shakespeare Cliff. Turtlecove have a variety of bed options, all with hotel quality mattresses and bed linen supplied. They have a good size Kitchen & lounge, and ample bathroom facilities and offer a free basic breakfast in the communal kitchen daily from 7am to 10am of fruit, cereal, toast, jam, tea and coffee and also free unlimited WiFi * (*conditions apply). 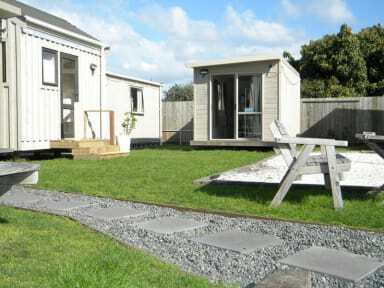 See website to book double/twin/ensuite rooms.